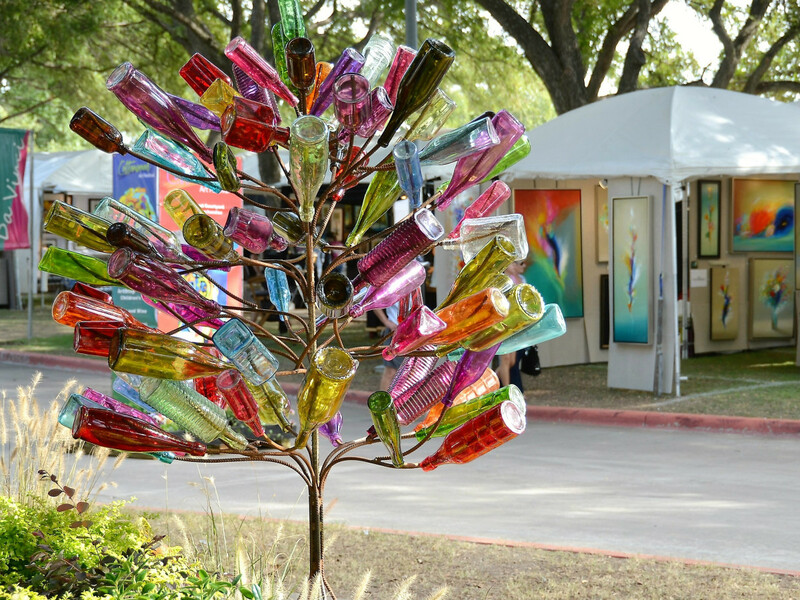 Now in its 49th year, Cottonwood Art Festival continues to reign as one of Dallas' most beloved events. 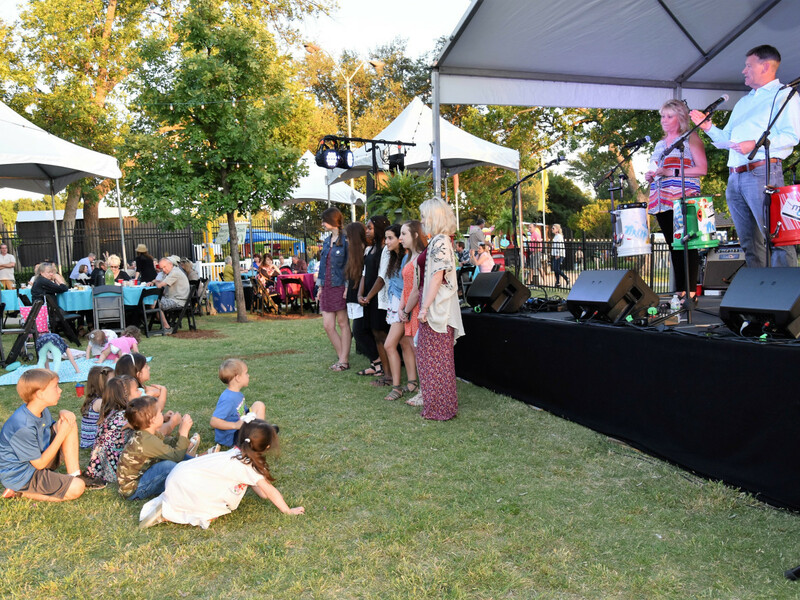 Held the first full weekend in October (and again during the first full weekend in May), the twice-yearly festival at Cottonwood Park in Richardson is fun, family-friendly, and free. 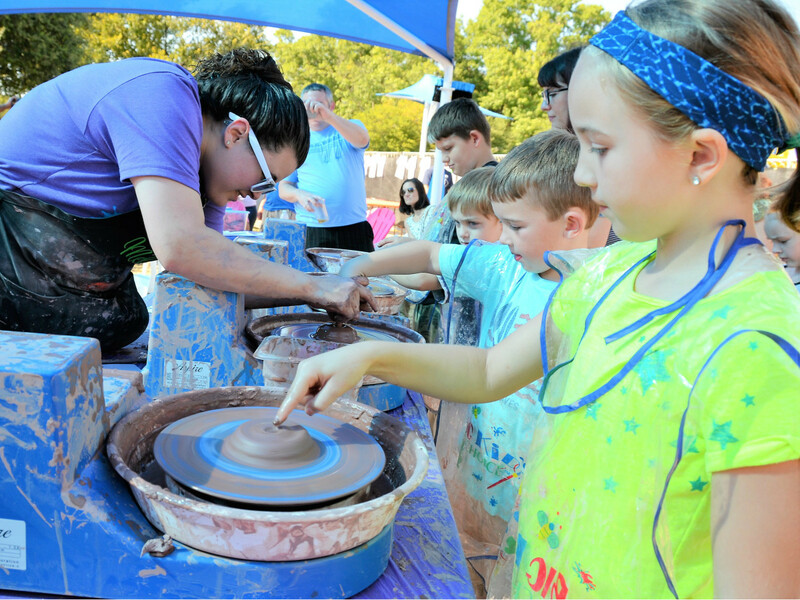 Whether it's your first visit to Cottonwood or your 49th, here are five things not to miss at the festival, held this autumn on October 6-7. 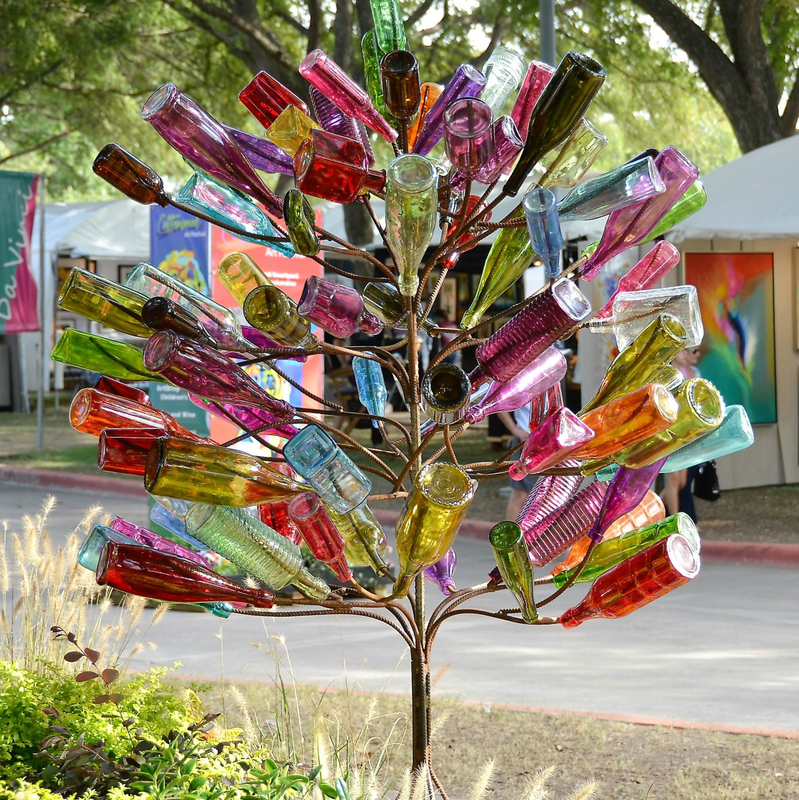 Cottonwood Art Festival entices artists from across the U.S. to show and sell their work at what many consider to be the premier art event in North Texas. 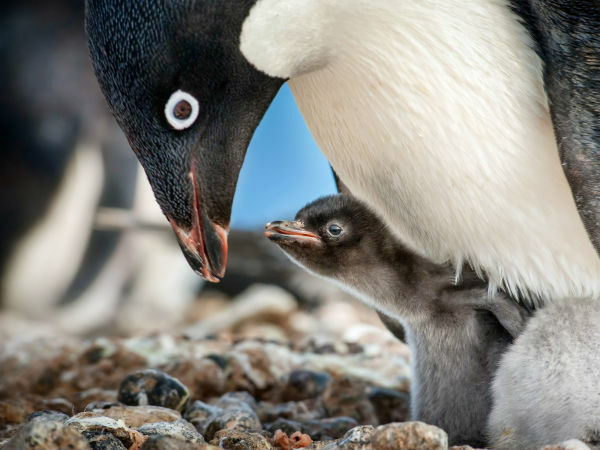 This year, more than 240 artists were chosen from the 1,400 that submitted. 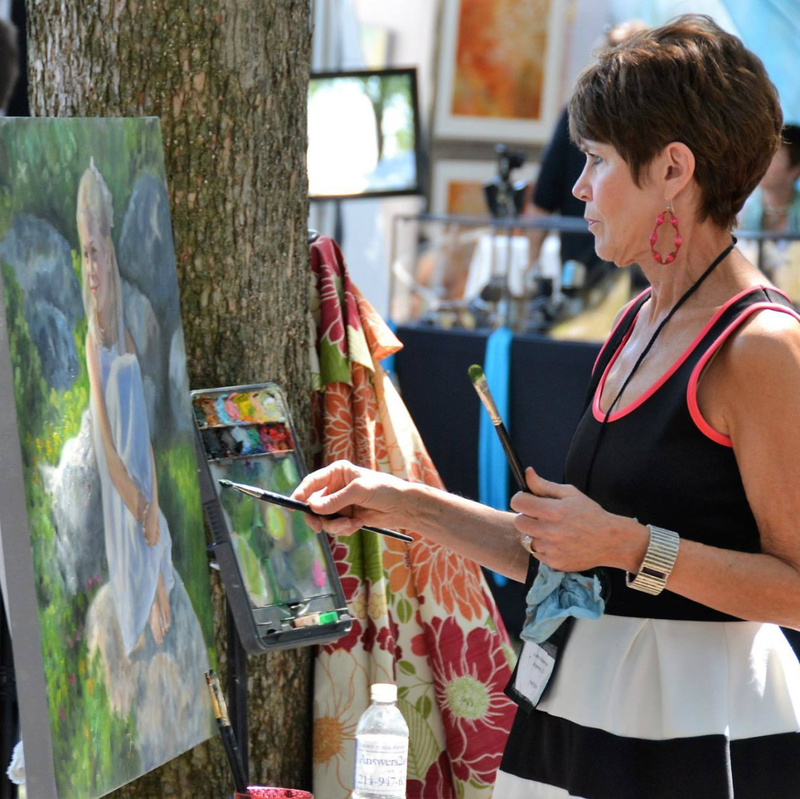 Expect to see museum-quality work in 14 categories, including pastels, photography, ceramics, jewelry, and metalwork. This year's featured artist, New Orleans-based Amanda Bennett, uses midcentury advertising as a springboard for her mixed media creations. 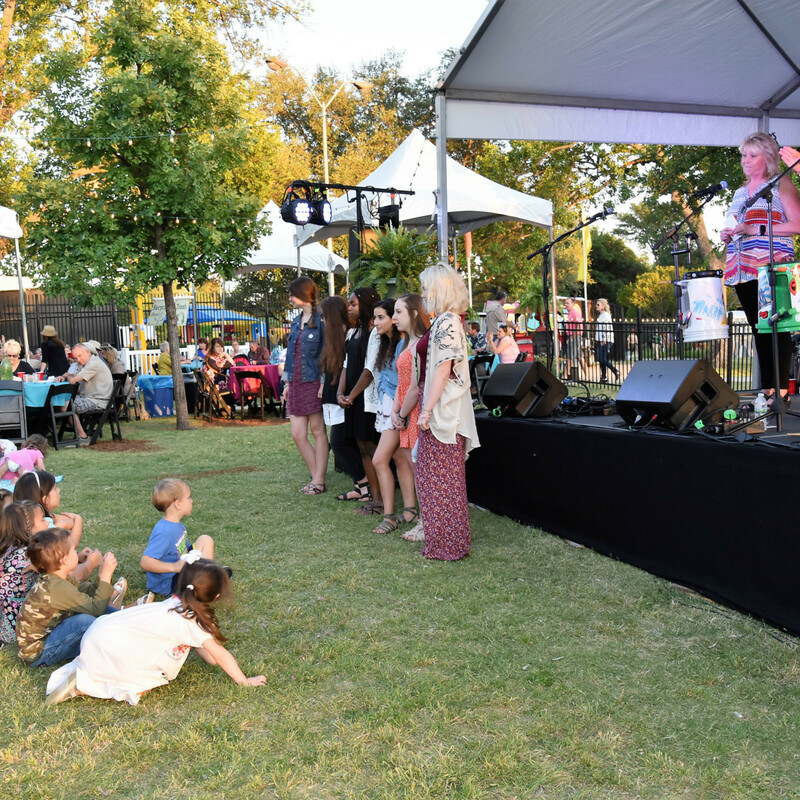 The Courtyard Main Stage and the Food Court Stage will be rocking all weekend, as top local bands performing the best in rock, country, jazz, blues, swing, and folk will be making the park sing. On the lineup are multi-instrument musician Zuriel Merek, two-man band The Tu-Tones, the Chris Watson band, singer-songwriter Erik Carizalles, The Pour Brothers, Justin Tipton, Morgan Alana Taylor, and the EJ Mathews Band. 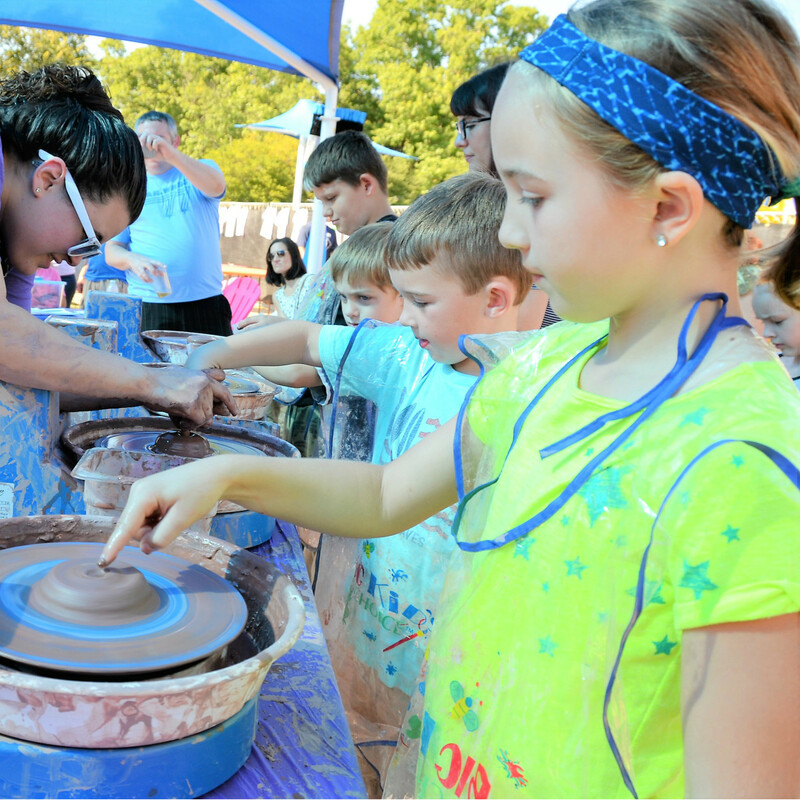 Pint-size Picassos can tap into their creativity at this kid-friendly zone, which offers interactive workshops and arts-and-crafts projects so fun that adults will be wishing they could join in. The festival is open 10 am-7 pm on Saturday and 10 am-5 pm on Sunday, so obviously you'll need to keep up your strength. 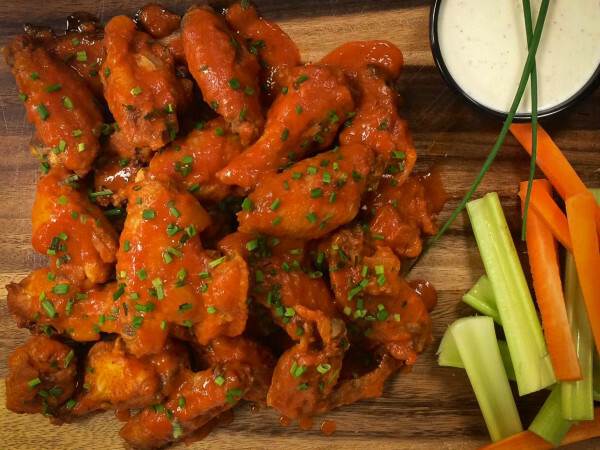 Luckily, there are more than a dozen delicious food options from which to choose, including some new treats this year. Mrs. Lively's Southern Cuisine brings a taste of Louisiana to Texas, with Cajun cooking that includes boudain, fried oysters, and catfish. Kona Ice and Taylor's Sweet Shop keep things sweet, while Sonny Bryan's barbecue, Mario's Greek food, and Asian grilled kabobs from Satay Hut satisfy practically any craving. 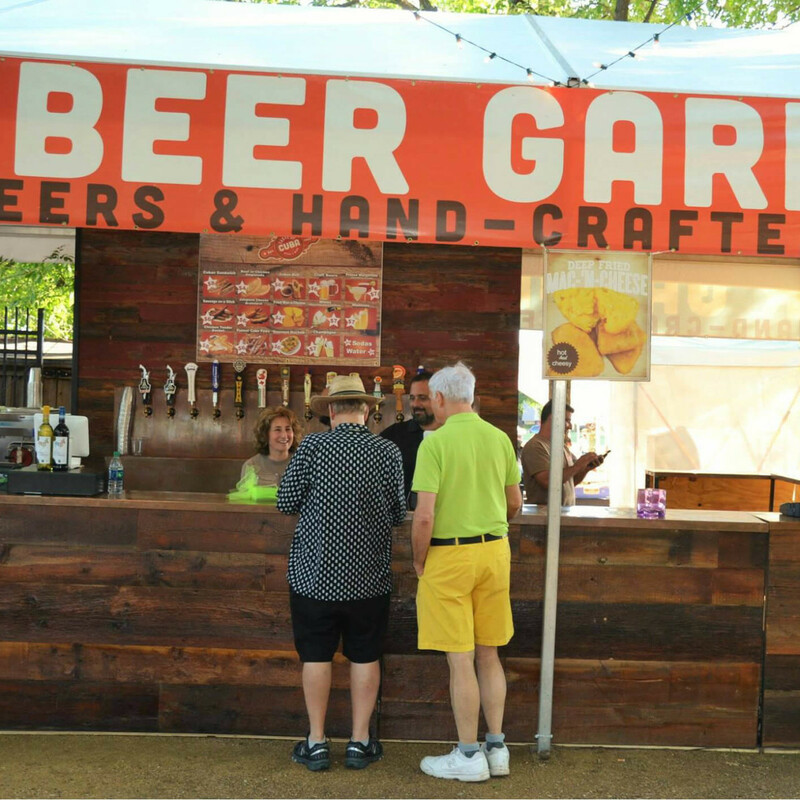 The Lakeside Courtyard is an oasis for craft beer lovers, and it's where you'll find such pours as Revolver Blood and Honey, Rahr Ugly Pug, and Lakewood Lager, just to name a few. 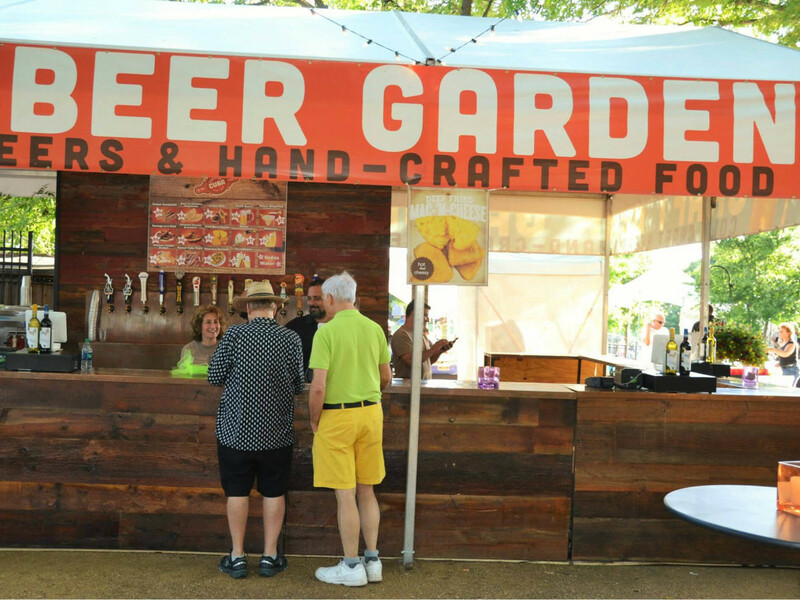 If you're an early bird, you can enjoy Mimosa Mornings beginning when the festival opens at 10 am. And if you're not a suds fan, you can still enjoy margaritas, prosecco, and wine. 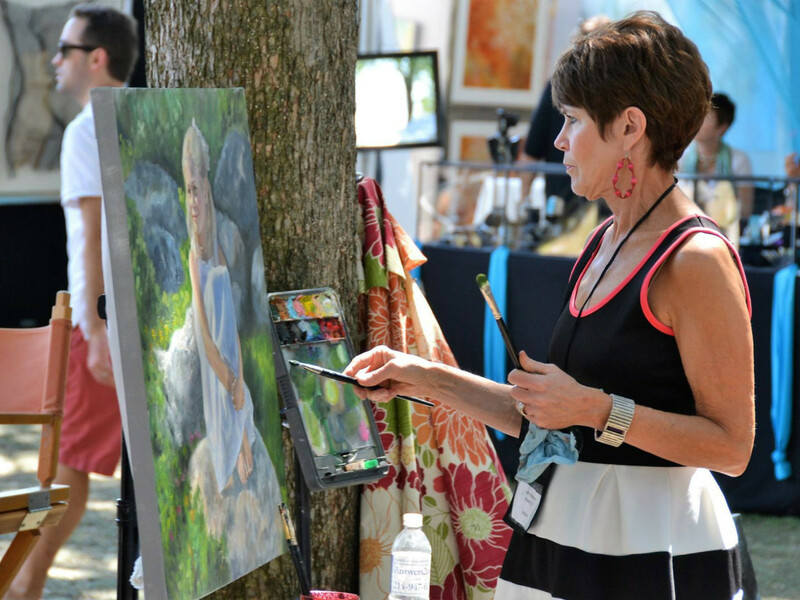 For more information, visit the Cottonwood Art Festival website.